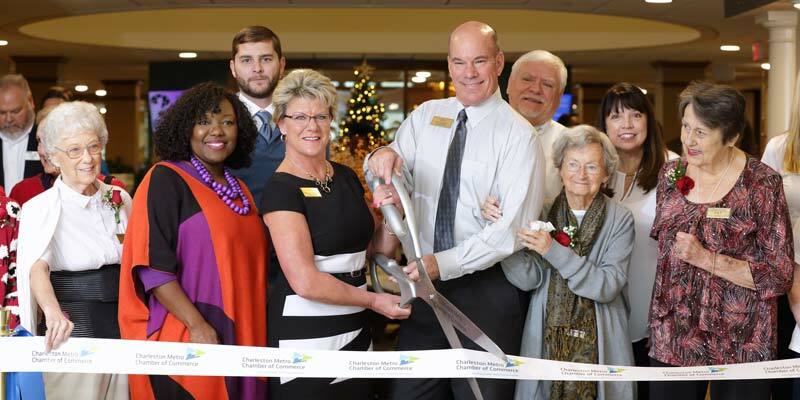 The rain couldn’t dampen the high spirits and fun that accompanied Daniel Pointe’s grand opening December 15. The celebrations kicked off with a Champagne toast in the theater the evening prior. There, a full house of residents with their family and friends were introduced to the pre-open sales teams who had arrived to help host the celebrations. The daughter of a resident then sang the national anthem. The next day, the celebrations (and resort-style partying) continued. 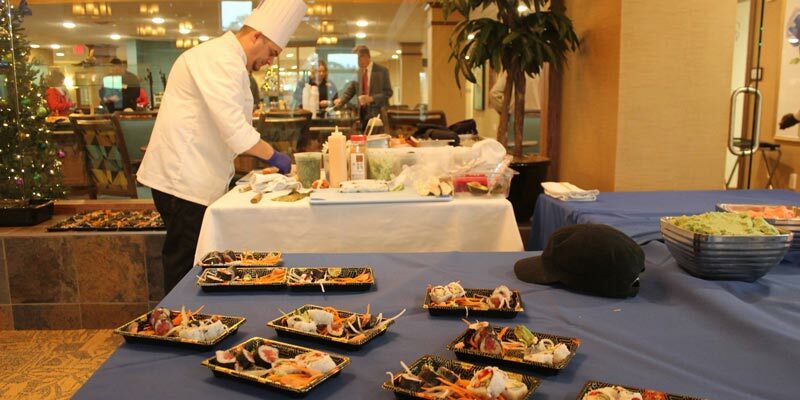 The culinary team, bolstered by help from visiting chefs from sister communities, put together an amazing spread for the visiting crowds including fresh-rolled sushi, prime rib, stir-fry, and bananas Foster. 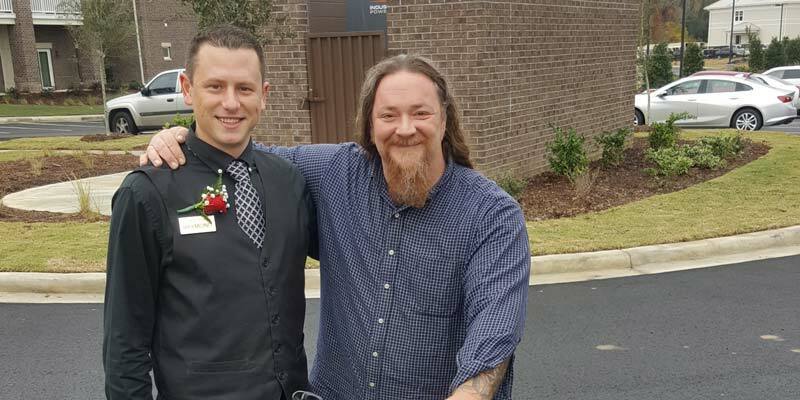 The event was made special as dozens of local dignitaries from four area chambers of commerce showed up to officially open the community with a ribbon cutting. Graham Whorley, a renowned local folk singer and songwriter, entertained with live music while field office colleagues helped managers Tom and Roxanne give tours and greet residents, friends and families. Picture below: Chef making homemade sushi rolls. 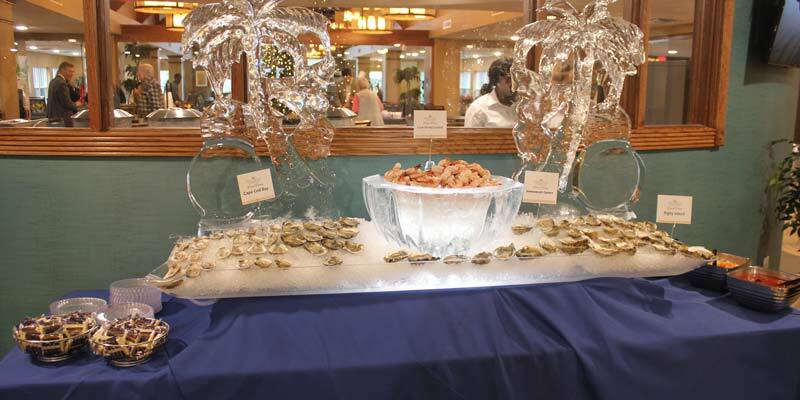 Picture below: The beautiful ice sculpture. Picture below: The dining room supervisor, getting his photo taken with musician Graham Whorley. 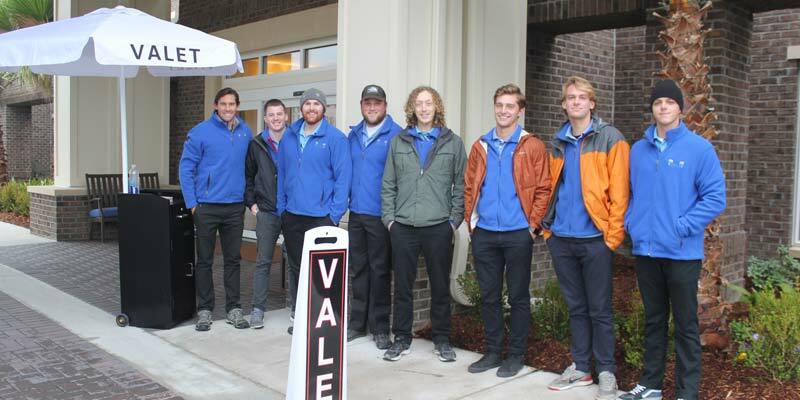 Picture below: The valet team, who hustled to park everyone's car. 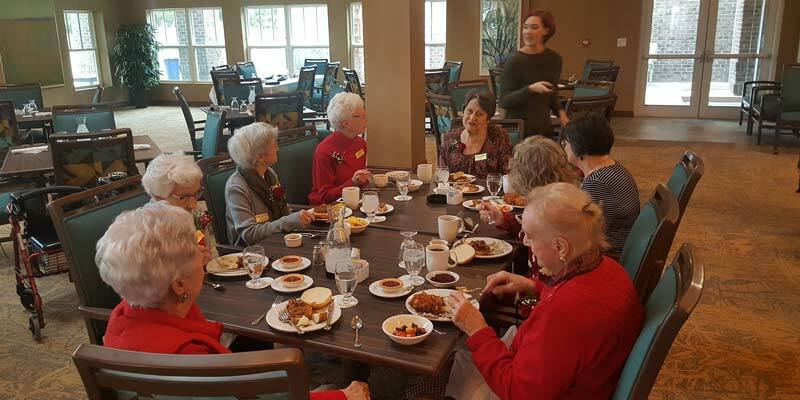 Picture below: residents enjoying the delicious food. Picture Below: Managers Roxanne and Tom cutting the ribbon!